This past year on the blog has been a lot of fun for me, because I have shared, created and explored so many of my favorite Good Things. The feedback I've received from readers across the world has been wonderful to say the least. In all sincerity, I appreciate every single one of you who has taken the time to read & learn from my posts. Some of you, whom I've gotten to know a bit more through correspondence, have in turn shared and taught me a thing or two (or more!) and have inspired me in more ways than one. Thank You! It has always been my intention to present good content that is informative, delicious for the eyes & palate, and perhaps a bit inspirational for everyone tuning in. Let's make 2013 a year filled with even more Good Things for all of us. Happy new year, David! Your blog is a joy; I always learn from you, and am excited when I see that you have posted a new entry. The best to you and yours in 2013. You're very kind Christine. The best to you & your loved ones in the new year!! May the happiness and the love you received in 2012 be multiplied by an infinite number throughout 2013! Many many thanks Janet! I wish nothing but the best for you in the new year. Happy New Year David! 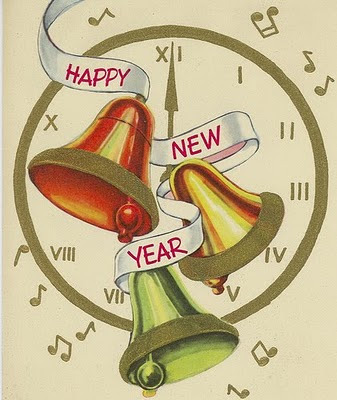 I hope that you and your family rang in 2013 with happiness and fun. Your posts this year have been so great and I have learnt an awful lot from you. As I live and breathe Pru! How have you been? It feels like ages since I last heard from you (I hope you're doing marvelously well!). Thank You for being so kind and supportive over the years, it means a lot to me.